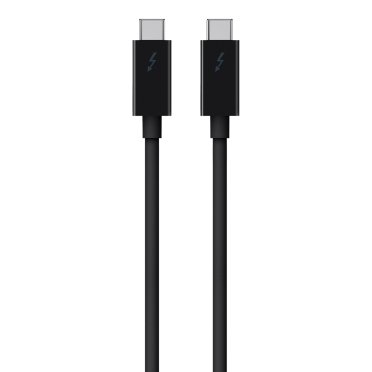 Belkin THUNDERBOLT 3 (40Gbps) CABLE (0.5m). Thunderbolt, famed for superfast speeds, high definition capability, and huge power output, has had an upgrade. 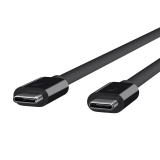 Transferring data between Thunderbolt 3 devices at up to a staggering 40Gbps, this cable is ideal for large volume data and Ultra HD displays. It also supports power delivery up to 60 Watts, and can daisy chain up to six Thunderbolt 3 devices. 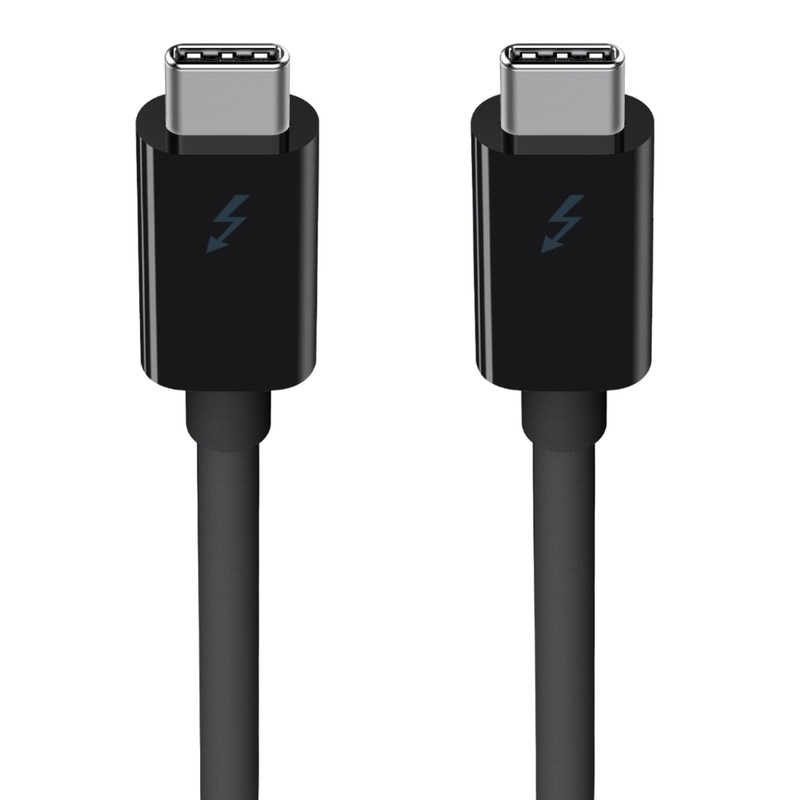 Get the most from all your Thunderbolt 3 peripherals with the ultimate smart, high-speed cable. Between Thunderbolt 3 devices, the .5m Thunderbolt 3 Cable can support data transfer up to a staggering 40Gbps. Backwards compatible, it delivers speeds up to 10Gbps for USB3.1 devices, up to 5Gbps for USB3.0 and 480Mbps for USB2.0. 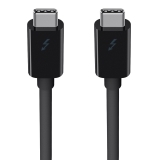 The Thunderbolt 3 Cable can also supply up to 60W of power delivery for Thunderbolt 3 and USB-C devices that require it, without the need for an additional power supply. 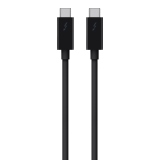 The 0.5-meter Thunderbolt 3 cable is a compact solution ideal for connecting Thunderbolt peripherals such as docks and hard drives, and fits seamlessly to any desk environment. 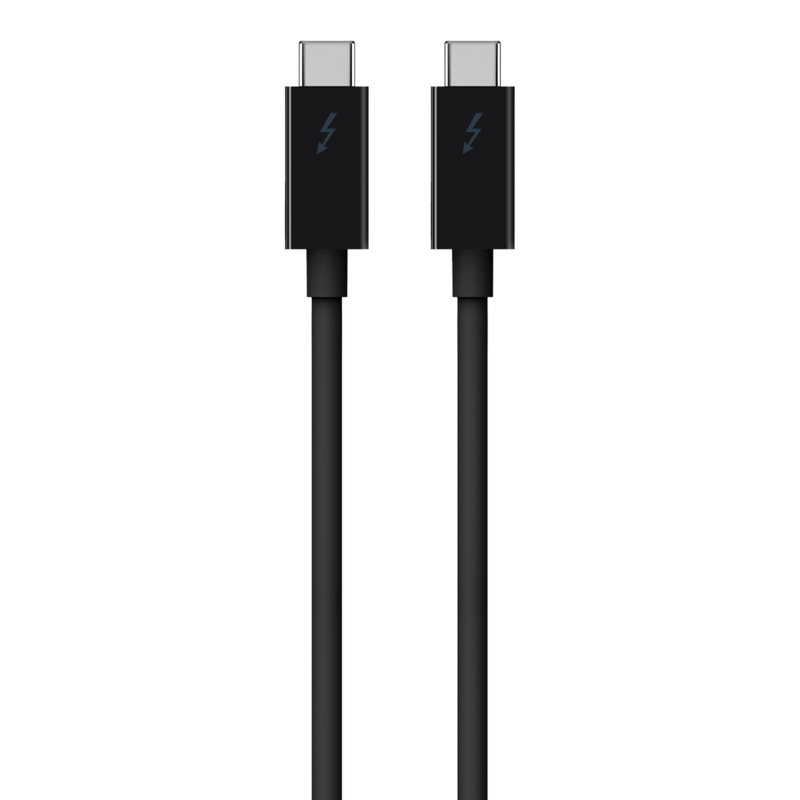 Thunderbolt technology is changing the face of USB. For more information on the benefits of Thunderbolt, from high speed data transfer, the application for HD and 5K video, power delivery to your connected devices and much more, take a look at our dedicated Thunderbolt page. It contains everything you need to know about this exciting technology and how to integrate it seamlessly into your life.